Come celebrate the budding of the vines and blooming of the roses! Located at the Messina Hof estate, this one-day festival will celebrate the 35th anniversary of the budding of the vines and the blooming of the roses. 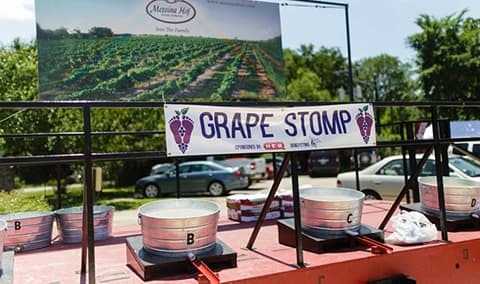 Guests will gather to enjoy wine tasting, local vendors and artisans, pairing classes, our famous grape stomp competition and more. Admission to the festival is free with the exception of a few events that require tickets which can be pre-purchased or included in one of our specialty packages. A portion of the proceeds from Wine & Roses benefits the Arts Council of the Brazos Valley.